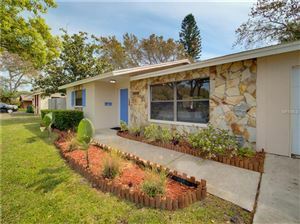 Lakewood Estates is a unique and distinctive neighborhood that was originally planned to encompass and feature the St. Petersburg Country Club. The neighborhood is predominantly single family in character. The winding, quiet streets are named for Spanish famed explorers, cities and other significant landmarks. The Spanish influence was seen in the homes that were built during the 1920s boom time. As the area developed, the architecture of the buildings reflected the popular styles of that period: cottages, Mediterranean Revival, ranch and vernacular. The St. Petersburg Country Club previously known as the Lakewood Country Club, is the centerpiece of the neighborhood. The 18 hole golf course provides vistas of well-tended green space, dotted with lakes and trimmed with flowering shrubs and border plants. Many of the homes surrounding the golf course complement the existing landscaping. The numerous lakes and woodsy atmosphere create a sense of seclusion from the hustle of crowds in city living. Yet, the homes are in close enough proximity to each other to encourage neighbor to neighbor interaction. Along our boundary streets are a bank, three churches, two schools (Maximo Elementary and Lakewood High School), Seville Square Shopping Center and St. Petersburg Little Theater. 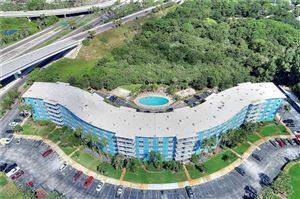 Nearby is the south campus of St. Petersburg College, Eckerd College, Maximo Shopping Center and a wide variety of shops and other businesses along U.S. 19. Quick access to I-275 at 22nd and 54th Avenues South save travel time to Tampa and Ft. Myers. Boat ramps are also located at Maximo Park and Hubbard’s Marina.